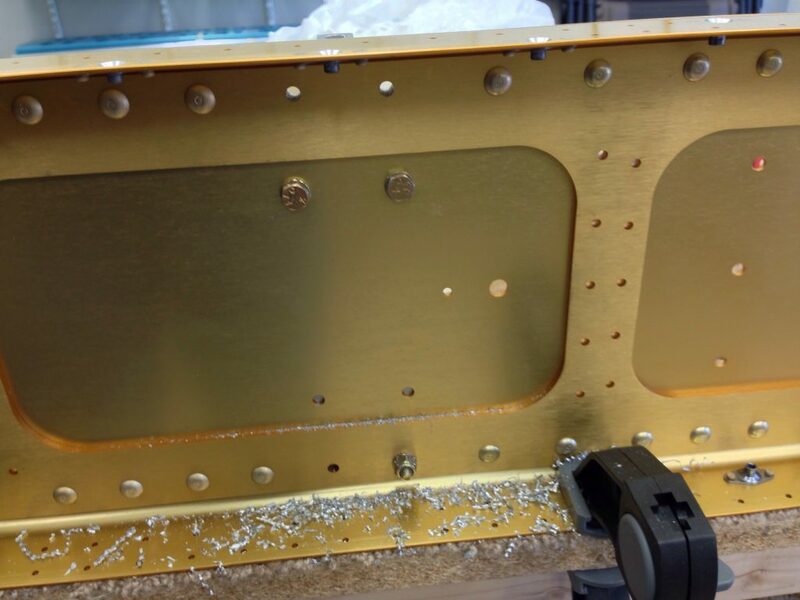 Today I started to rivet the fuel tank attach nut plates on the main spars. 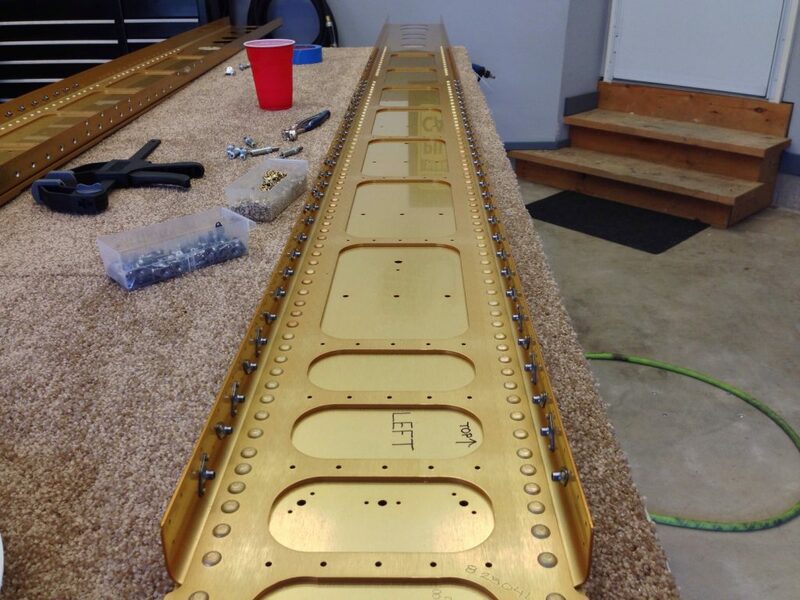 Each spar has 60 nut plates for the fuel tanks, 30 on the top and 30 on the bottom. 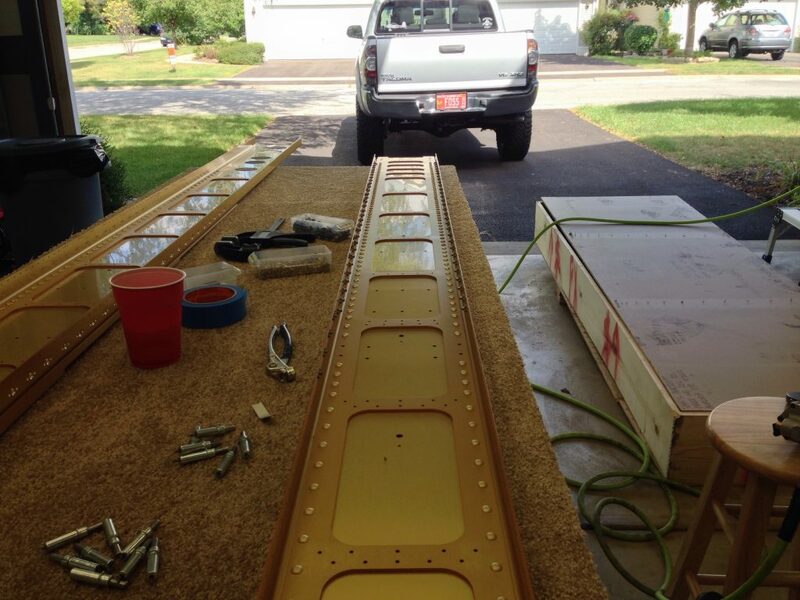 Each wing has 12 nut plates that help hold the inspection panels on the bottom flange. Before starting to rivet I spot primed all the CS’s by using my Duplicolor primer sprayed on a paper plate and using Q-Tips to dap the primer in the holes. Then I set up my 3″ yoke in the pneumatic squeezer and set the depth for the AN426AD3-4 rivets and started squeezing away. 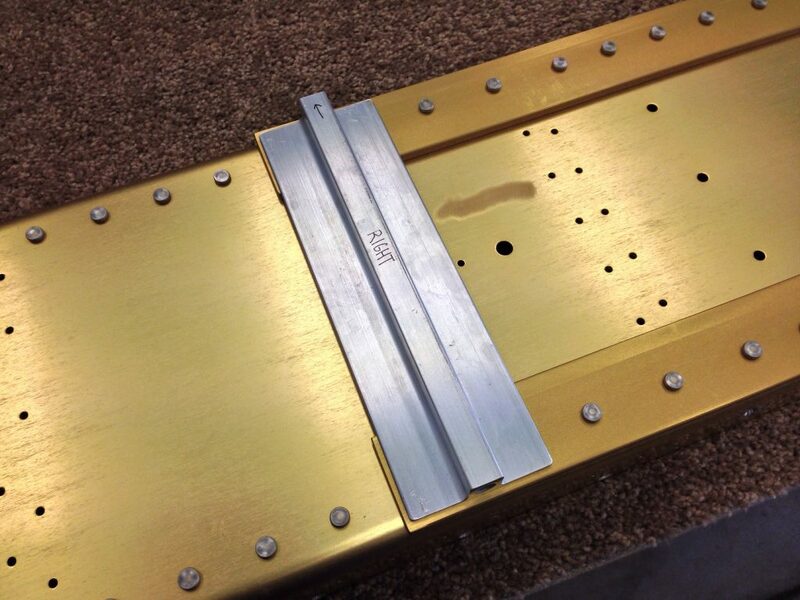 I then set up for the inspection panel plate nuts using the same rivets. And the right spar is finished, on to the left. 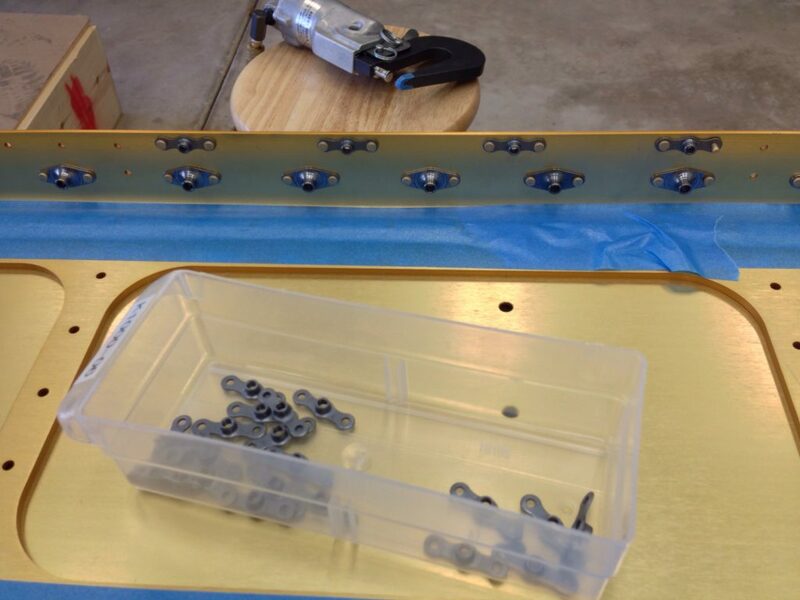 Now on to the 2 center section nut plates on each spar. 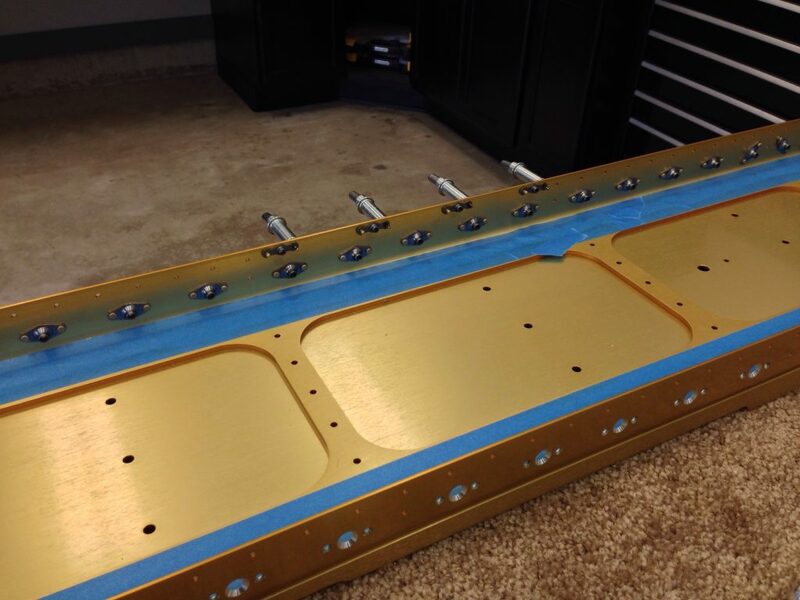 Working on the aircraft tie-down block is next in the plans. 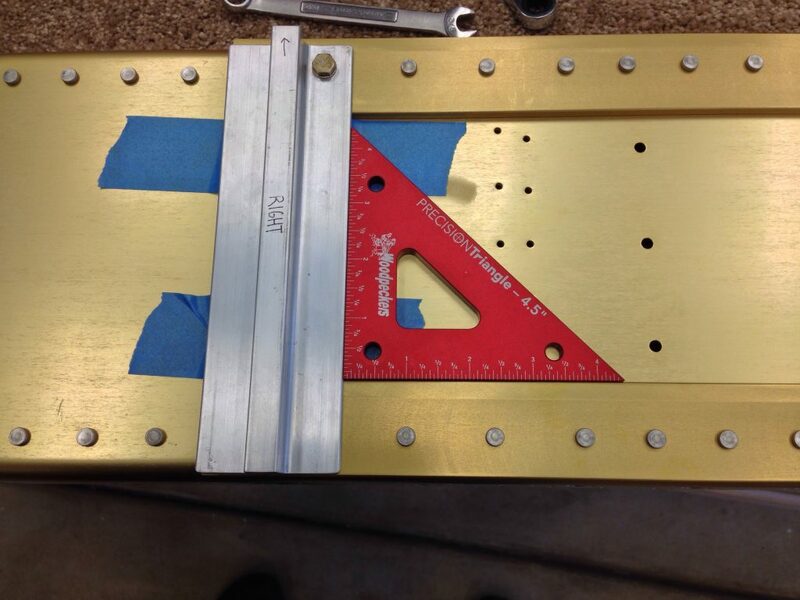 These blocks, 1 in each wing, will have a threaded hole in which you install a tie-down ring. This is what you will tie the airplane down when parking outside at an airport FBO. 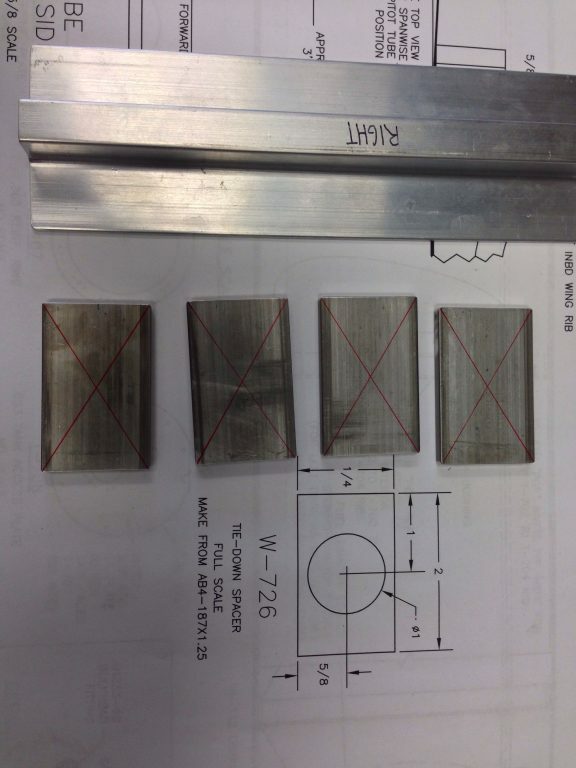 I first trimmed down the blocks to the correct length and labeled them left and right. 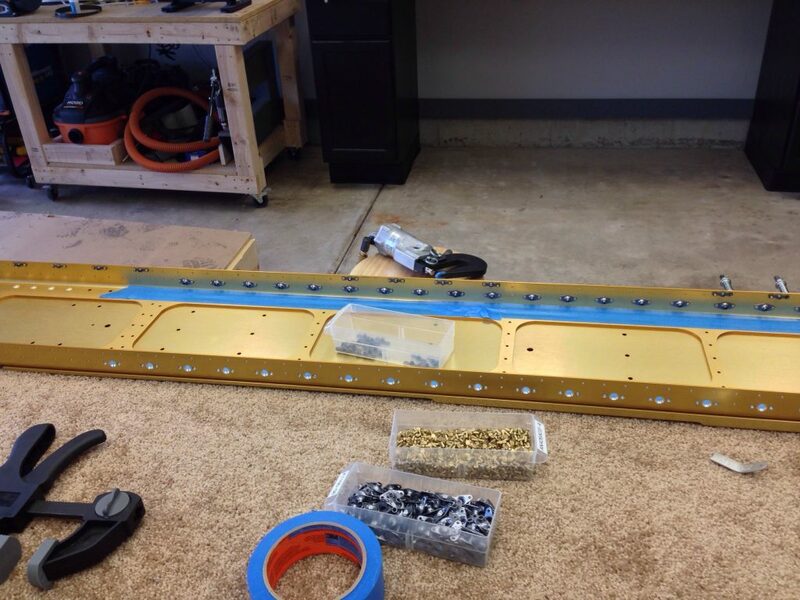 I then created the spacers that required for the tie-downs. 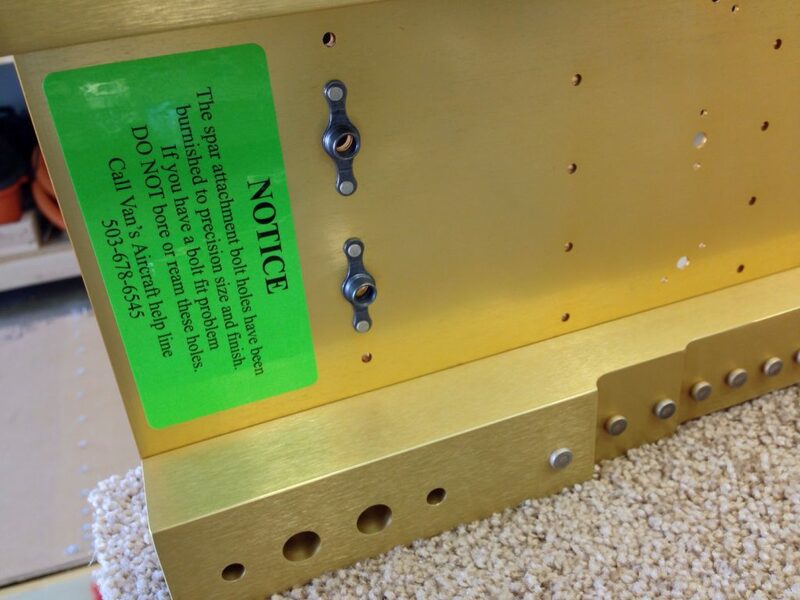 The plans have you drill one hole in the tie-down blocks and use a bolt to hold it in place. 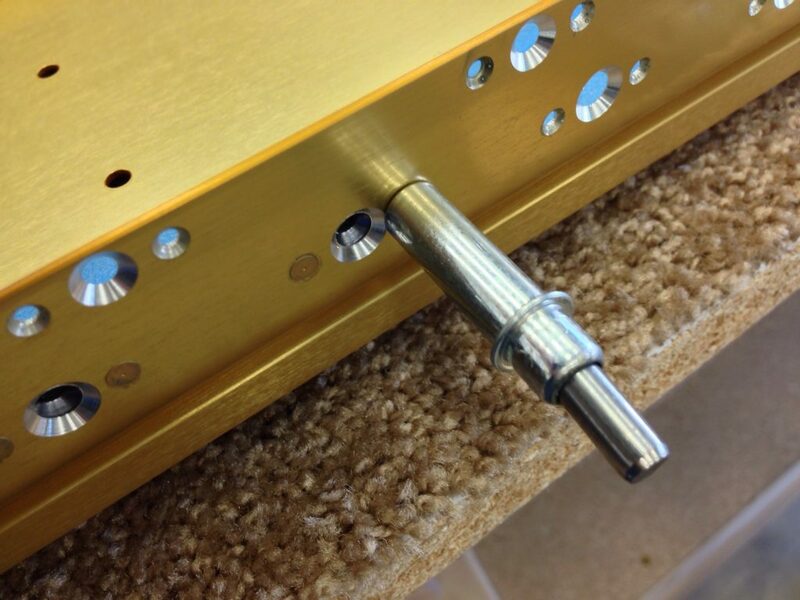 Then you can match drill the remaining 7 holes using the spar as the guide. 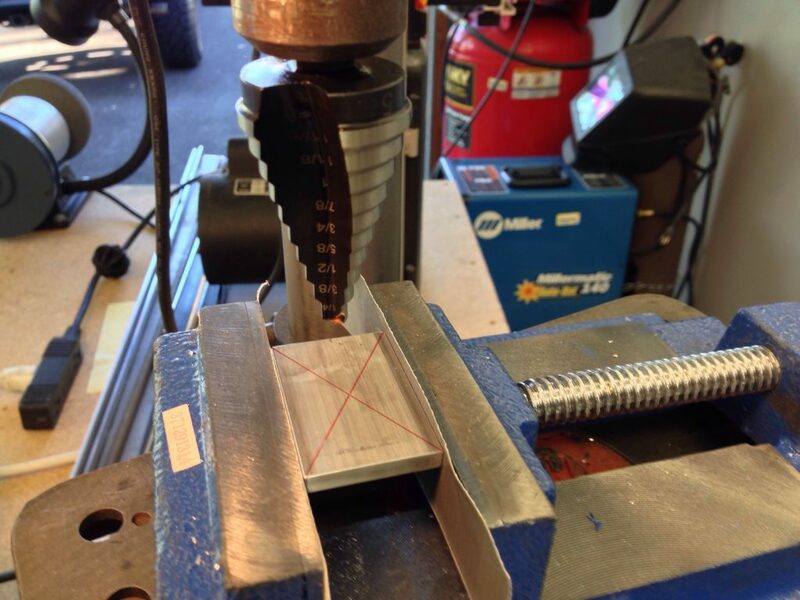 The spacers need 1″ lightening holes in the center to reduce their weight. 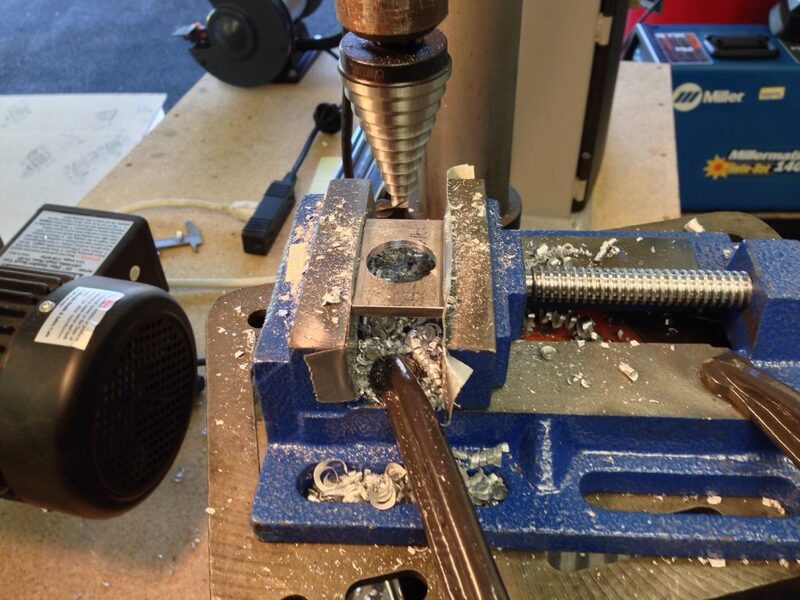 I used a Irwin Unibit in my drill press for this. 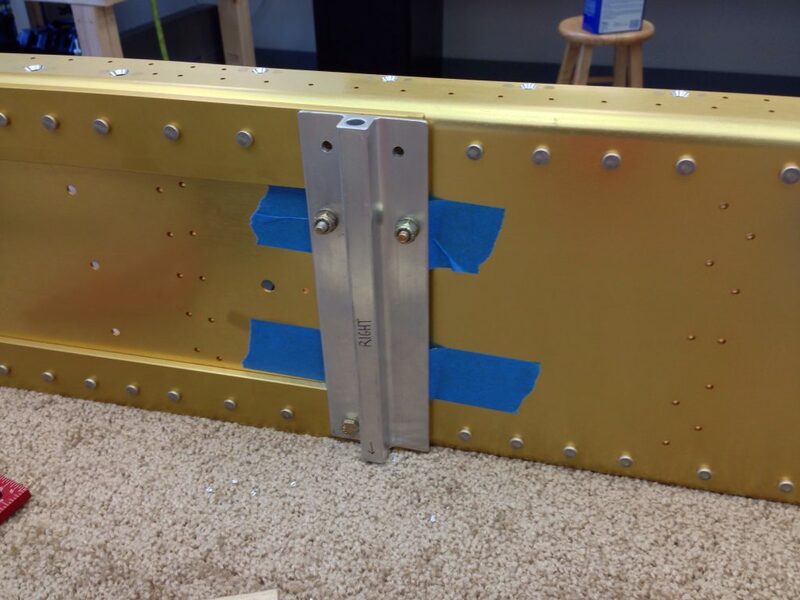 I then taped those spacers to the spar and clamped the tie-down block to the spar through the one hole already drilled. 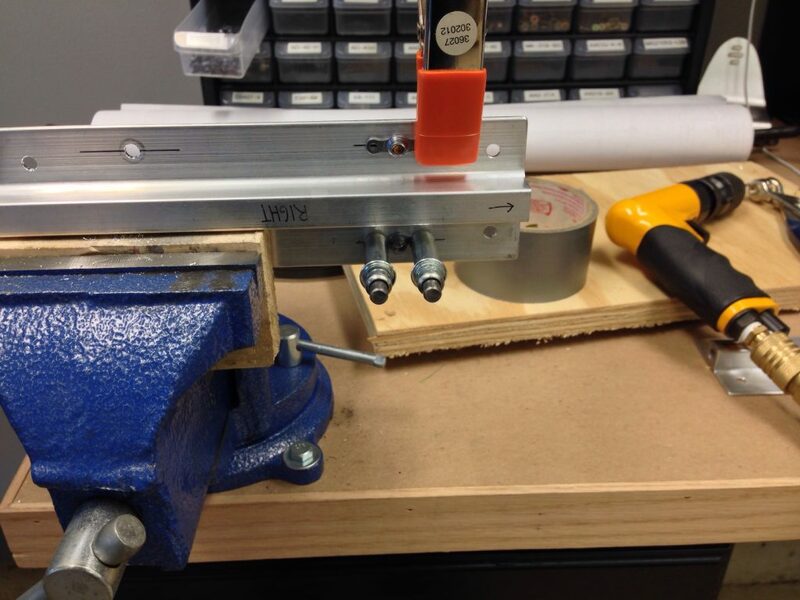 I also used a block of wood and a clamp to hold it securely. 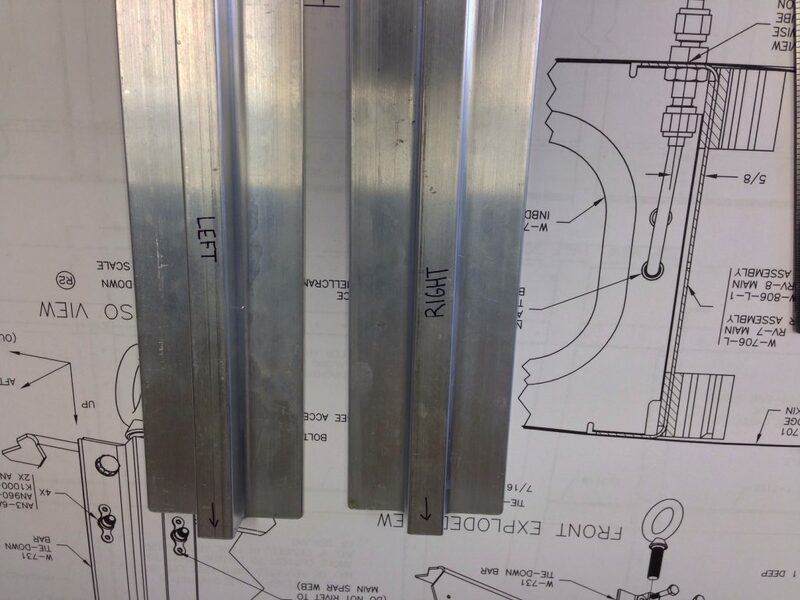 I checked that it was square with the spar before tightening it down. 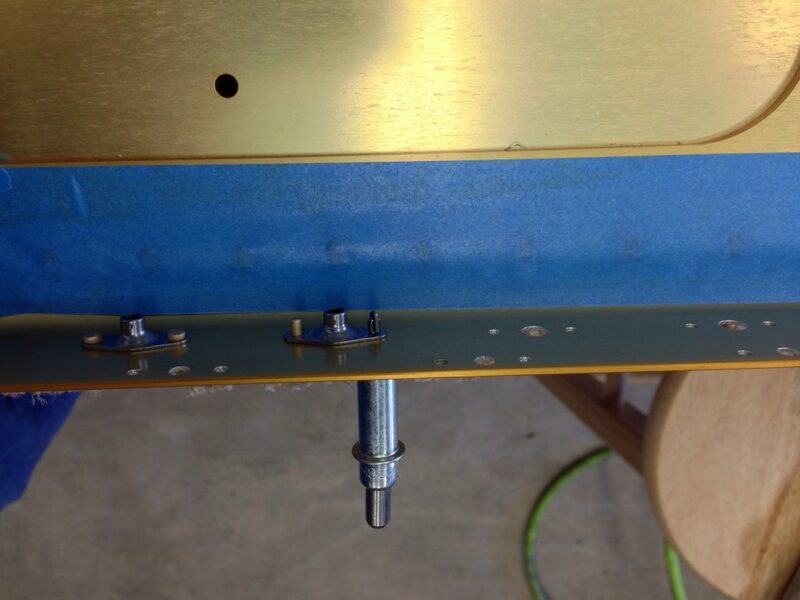 I used the block to match drill the remaining holes, as I went I added a couple of bolts to help hold everything together. 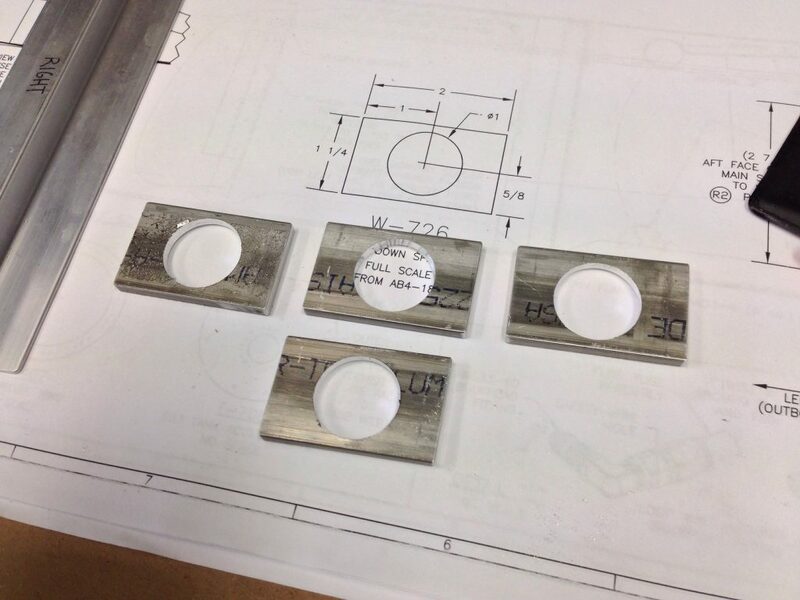 I then took the parts over to the vise and drilled for the 4 nut plates that get riveted to the block. I think they turned out pretty nice! I just need to tap the bottom hole to accept the tie-down ring. 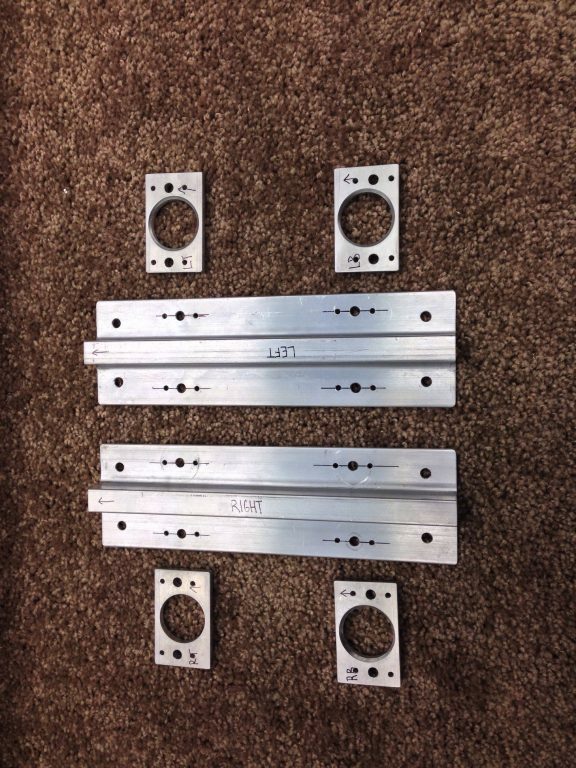 Then I will clean and prime so they can be bolted to the spars. I decided to call it a day, after 7 hours I was beat!